I get a daily devotion from Proverbs 31 Ministries. Started by Lysa Terkeurst and including many women of faith, the Lord has grown their efforts into a full-time ministry with radio, speaker and email devotions as well as book publishing. This September 11th devotion was something that spoke to my heart and I hope it will speak to you too. I actually woke up singing Toby Mac’s song “Forgiveness” in my head – and here it is, the devotion I received on the same thing this morning. God does speak in mysterious ways! I pray that if your paths have gone crooked this week, that He will Set Your Paths Straight with this devotion below. Blessings. Not too long ago there was a bust on a major interstate. Authorities discovered teens as young as 14 being held against their wills. The trucking industry was being used as a way to force these victims into modern-day slavery. This not only makes my heart hurt, it makes me angry. I know without a doubt that God calls these precious girls beloved and worthy-not products to be sold. This bust is a reminder that evil exists around the world. We see it in news-grabbing ways like terrorism and mass shootings, but it’s also hidden behind closed doors. It’s on every continent and in our own neighborhoods. My emotional response to these types of evil is strong. But what about our Heavenly Father? Does He see it? Does He care? Without a doubt, the answer is yes. Scripture tells us evil is the result of sin showing up in human nature. So how does God respond to our sin? The Bible shows us God’s heart is to forgive. When we seek forgiveness with a repentant heart, He grants it. Not only that, but God asks us to forgive bad behavior of others. His love in us gives us the ability to pardon flawed humanity with humility and compassion. You may think it is up to you to make someone pay for the wrong they have done. You long to let go of the anger and live again, but you feel chained to the past, chained to unforgiveness. It feels wrong to forgive what seems unforgiveable. When evil comes to your front door, or impacts those you love, you may struggle with feeling angry and secretly wanting revenge. You may think it’s up to you. That’s when God’s righteous anger steps in to make us whole. When we realize God is angry for us, it removes a burden we aren’t big enough to carry. 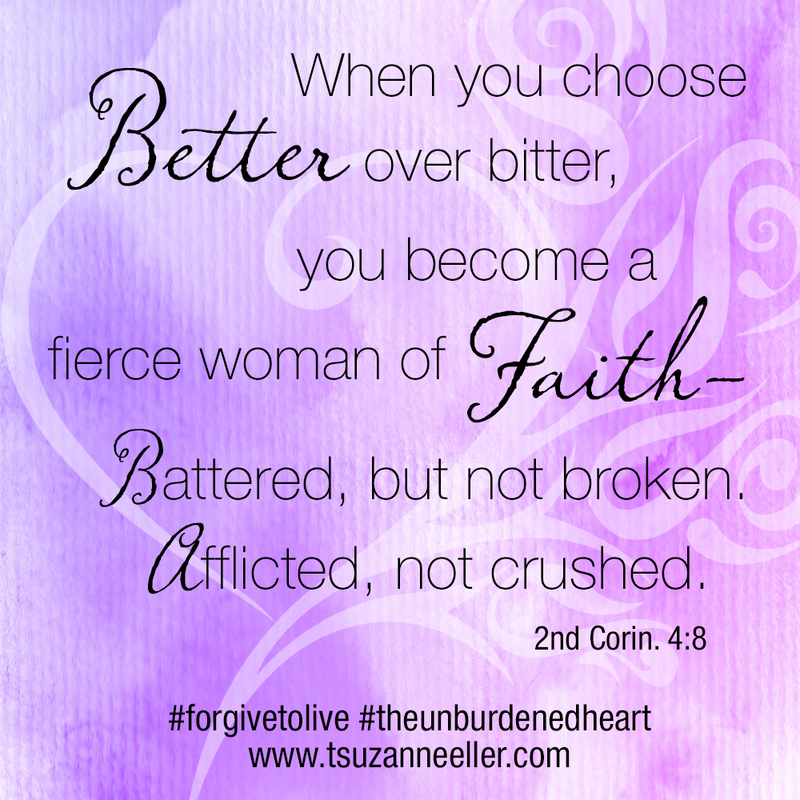 His righteous anger overshadows our anger as we let it go, and He scoops it from our hearts. Does God care? The answer is yes. And the reason He’s asking you to forgive is not to absolve another person’s sin against you or to say that it was okay. It’s so that you, His precious child, can live free. The enemy thinks he can steal dignity and peace from you, but as you release your anger to God, you keep your self-worth and calm instead. The enemy wants to kill your spirit, but you can find renewed life as find freedom in forgiveness. The enemy means to destroy you and your future, but God’s redemptive power is released as you let God handle the burden of anger for you. With His help, you can forgive the unforgivable. Dear God, Your righteous anger toward evil overshadows the pain in my heart and allows me to forgive as You are righteously angry for me. Thank You for freeing my heart so that I may begin to heal. In Jesus’ Name, amen. Reflect and Respond: Read 1 Peter 5:8. How is the evil one described? How might holding on to anger leave a person defenseless? Wow. Thank you so much for this. I have been really struggling with some heavy anger. Someone I love and respect very much is being treated wrongly. When I see this person so undeservedly wounded, my reaction is to lash out at the person who is causing the pain. You have reminded me that my anger will not make up for the pain, it is a comfort to know that those who hurt God’s people will have to answer to Him. Thank you for this. You are so very right. I take comfort in that promise too, when it feels like I am alone in the midst, God is indeed bigger than any thing or anyone that can wreak havoc. What a good word! Well said…both you and Suzie Eller! Bless you!